There is no other name under heaven that can save us (Acts 4:12). We are to confess Jesus before men, knowing that when we do, we can be sure he will confess us before the Father in heaven. 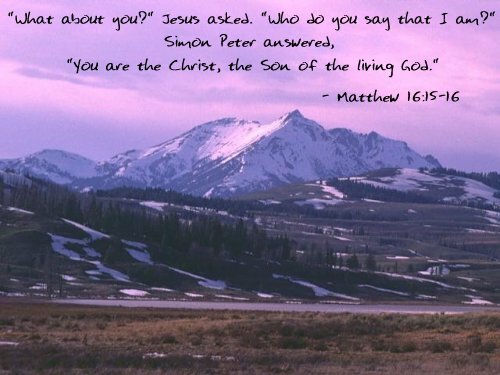 Jesus Christ is the Son of God, our Savior and Lord. We may not know all the theological gravity behind those words — after all, Peter didn't when he confessed Jesus as Christ — but we can make a commitment to know him and follow him until we do know more. Jesus asks us to open our hearts to his lordship and begin the journey toward fuller knowlege and experience of him.